Most headphones can't handle the bass,the detail,the dynamics. Bottom line,the music doesn't move you. With Audiosharp metal stereo earbuds,People are going to hear what the artists hear, and listen to the music the way they should:the way I do. Built-in miniature 6.8mm dynamic drive unit, creating a very penetrating power in the high frequency performance. Pure copper forging, surface through double plating processing, surface smooth feeling. Unique one-piece process cavity, the transient low quality sting vocals, produce the high frequency penetration in the simple sense is strong. Design simple fashion, from the cavity layout to guide pipes have been meticulously, universal noise reduction, lossless audio, compatible with all audio equipment. Uses the Japanese CNC numerical control machine and hight precision cutting, grinding, precision metal texture, integral joint artificial learning design, special artistic breath.Using fiber optic cable grade transparent bulletproof imported from Japan silk headset wire, the wire with high strength, high elasticity, prevent sweat corrosion resistance and other characteristics. Transparent wire design, more fashion science and technology. The design of these headphones are beautiful and very unique. 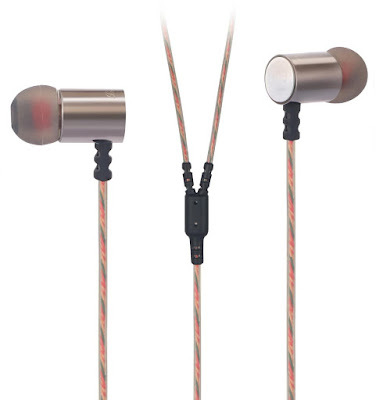 The earbuds are metal and the wire is transparent. They have a copper, almost industrial feel to them. They're not heavy, but they are a bit heavier than any other pair of headphones/earbuds I have had in the past. 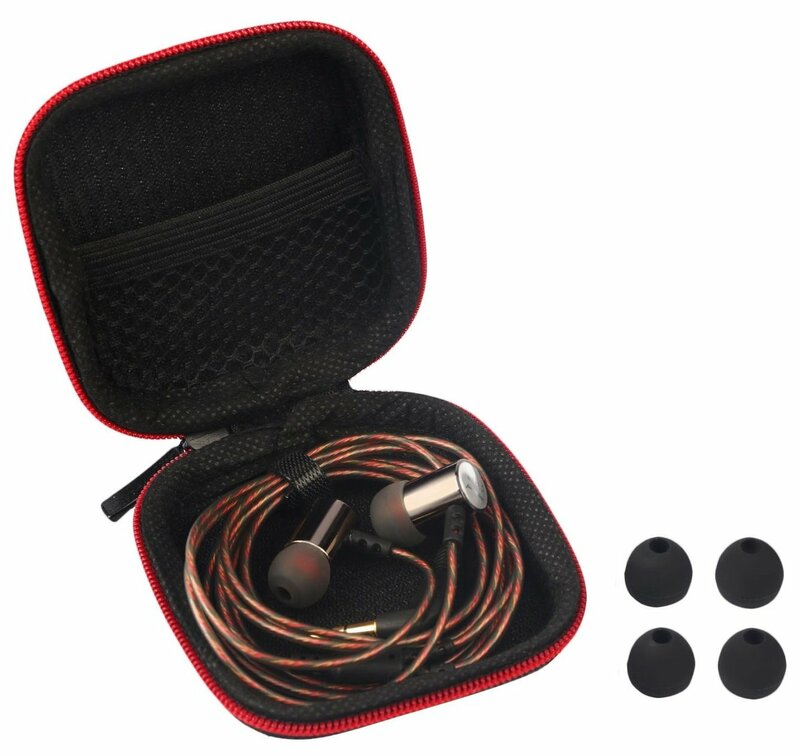 Great for listening to music while walking or on a plane, but I felt they were to heavy for running. I prefer something lighter. The earbuds are comfortable to wear. I like that they come with extra earbuds for a perfect fit. The sound is good. These are just for listening only, there is no mic. I did notice a little static when I tried them running, that could be due to the weight of them. So they bounced around a lot while I ran. But, when I was stationary, I thought the sound was good. Overall, beautifully designed with a higher quality look to them. I loved the carrying case and the price was great. If you would like to try this for yourself, you can purchase these Audiosharp AS1217 Metal Housing Noise Isolating In Ear Headphones right now from Amazon!